A Well Founded Fear. November Films. SBS Television, Wednesday 19 November, 8:30 pm, website. At the beginning of A Well Founded Fear we hear Mr Howard declaring after Tampa, 'We decide who will come to Australia and under what circumstances they will come'. His declaration is received with applause from his Liberal Party audience. 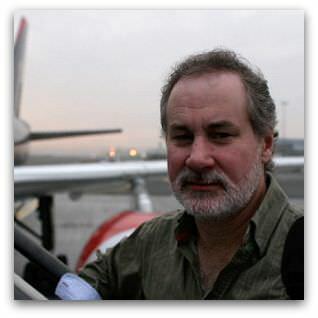 The cameras then leave Australia with Phil Glendenning, the Director of the Edmund Rice Centre. They dwell on his stay in Afghanistan and Syria to track down some of those whom Australia had decided would not come here. They show in the faces of simple people the costs in human life, opportunity and dignity of Australia's decision. They also show the brutal cajolery that was the Australian way of implementing Mr Howard's promise. The narrative thread that holds the documentary together is the search in difficult places for the returned asylum seekers. Visually it is sometimes tests the viewers' credulity, emphasising the desire for secrecy of the people whom they seek, while at the same time filming conspicuous Westerners going in search of them. But the documentary is powerful because it allows ordinary people of extraordinary spirit to tell their stories. For the viewer their magnanimity in the face of barbarous treatment tempers into compassion the rage and shame that are the natural response to such stories. The documentary is also blessed in Phil Glendenning. He is the ordinary gruff Australian bloke abroad, a Merv Hughes or an Ian Chappell, not naturally articulate but enduring and not to be fobbed off with smooth talk. He mostly listens. His silent listening is the moral centre of the documentary. His few comments on the significance for Australians of what he hears are the more telling for their sparseness. The documentary does not pursue the way in which Mr Howard's declaration was translated into Australian law and its administration. It simply shows how human beings experienced these things and the cost to them of the arbitrary exercise of power. But the larger picture also bears reflection. Those despatched to Syria were from a tribe persecuted in Kuwait and denied citizenship. They arrived with necessarily false passports before Tampa, were detained in Port Hedland, and their claim for protection was denied. The task of the Immigration Department was to cajole them to leave Australia. This was difficult because they were effectively stateless. It offered them the alternatives of living indefinitely in the harsh detention they had already experienced or an opportunity to leave Australia. According to those interviewed in the documentary, Department officers tried to persuade them to leave on the false passports with which they had come. Others were given Australian travel documents that allowed them to enter Syria on a visa that expired on arrival. They were thus illegal and subject to arrest and beating if found without papers. They still live in that daily fear. Those returned to Afghanistan arrived after Tampa and were detained on Nauru. Their claims were adjudicated by the Australian officials under an arbitrary and flawed process that was not reviewable by Australian courts. They were Hazaras, persecuted in Afghanistan. The interpreters supplied by the Department were from the ethnic group that persecuted them. Their claims were rejected. Because the Government had decided that they would never be allowed to come to Australia, the Department officers were able to offer them the alternatives of perpetual detention on Nauru or a return to Afghanistan, then declared to be safe. Subject to such cajolery in an environment where they had no way of testing the veracity of those advising them, and where their psychological health was anyway under siege, they agreed to return to Afghanistan. Some were killed. So were members of their family, including young children. Others fled to Pakistan. That is what it means in practice to decide who comes to your country and under what circumstances. The documentary is not finally about blaming people. It is about a well-founded fear. The refugees had a well-founded fear of persecution, but it was not recognised. Mr Howard exploited a badly-founded fear among Australians that they would be overrun by refugees. Both Australians and refugees, it is clear, were entitled to have a well-founded fear that the policies of the Australian Government and their administration by our public servants would be shamefully corrupted. Andrew Hamilton is Eureka Street's consulting editor. He also teaches at the United Faculty of Theology, Melbourne. Gee Mr Howard could talk tough....especially to the weak and defenceless! WE hear Mr Howard declaring after Tampa. "We decide who will come to Australia and under what circumstances they will come" His declaration is received with applause from his Liberal Party audience. You are wrong Andrew Hamilton, the declaration was received by a large majority of Australians, Labor and Liberal supporters. There are no soothing words to truly quieten deep pain, but Fugitive Pieces shows redemption is a possibility, even in the face of undying memories. It would have to be the world-wide web... wouldn't it? ... But you wouldn't call it hubris, would you?